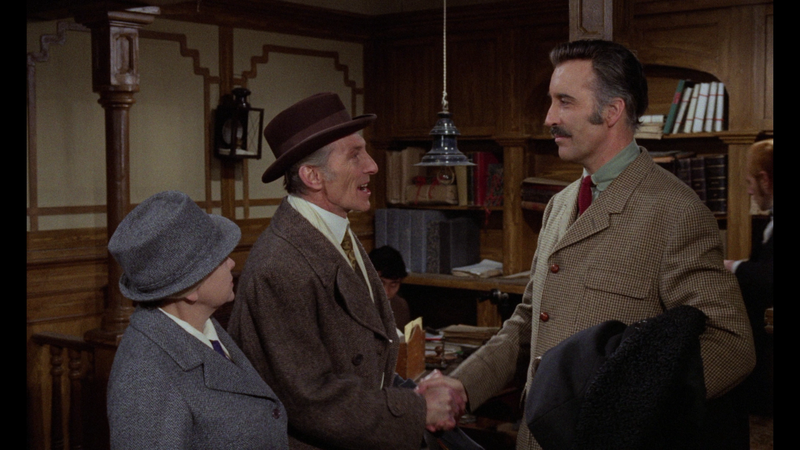 Horror Express for me was a fine film though my interest was mostly for its two leads in Christopher Lee and Peter Cushing, sharing the screen again after many roles as Dracula and Van Helsing respectively. Plot Synopsis: Professor Alexander Saxton (CHRISTOPHER LEE), a brilliant British anthropologist researching in the Russian Far East, boards the Trans-Siberian Express with his latest discovery, a frozen specimen he hopes to prove is the missing link. But en route to Europe, passengers begin to turn up dead, and terror engulfs the train as Saxton and Dr. Wells (PETER CUSHING), struggle to contain a mysterious — and increasingly murderous — force with the power to control minds. Quick Hit Review: Not exactly as good as I imagined based on the title and the stars, but it was relatively entertaining and seeing two iconic actors in Christopher Lee and Peter Cushing sharing the screen together again outside of their Dracula and Van Helsing roles respectively. It is still a fun flick with some half-decent production and effects work, and an interesting enough premise to keep my attention through the film’s duration. This single-disc release comes housed in a clear HD keep case. Inside is a 32-page booklet containing still images and an essay. Audio Commentary – Authors Stephen Jones and Kim Newman provide their thoughts in this new track recorded for this release. As you might guess, it is on the more academic side in style but Jones and Newman give the history of the production and background on the both the cast and director. Ticket to Die (8:31) – Filmmaker Steve Haberman (producer/writer Dracula: Dead and Loving It) discusses his appreciation for the film. 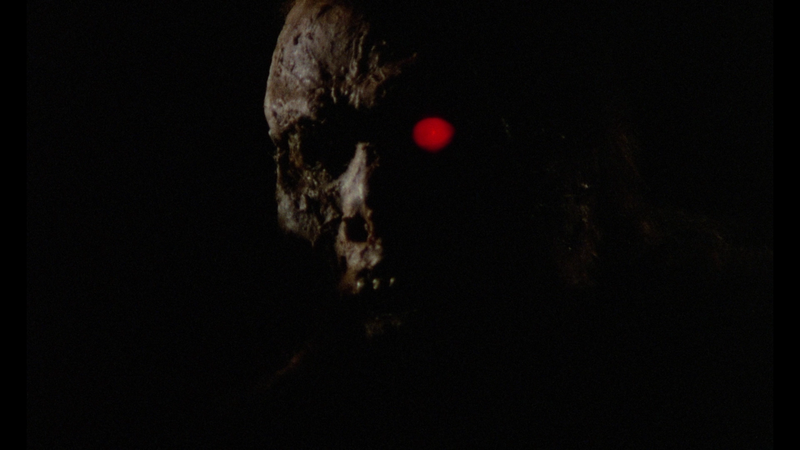 Night Train to Nowhere (15:08) – Filmmaker Ted Newsom on Horror Express and his late friend, producer Bernard Gordon. Murder on the Trans-Siberian Express (14:03) is an archival interview with director Eugenio Martin. Notes from the Blacklist (30:30) is a 2005 interview with producer Bernard Gordon, discussing filmmaking during the McCarthy era. Telly and Me (8:09) is an old interview with composer John Cacavas. Last up is the Theatrical Trailer (2:57). 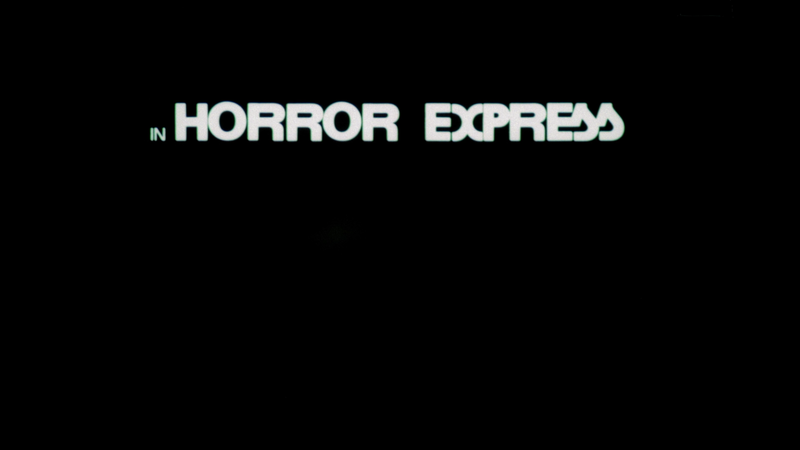 Horror Express comes to Blu-ray through Arrow Video presented in its original 1.66 widescreen aspect ratio. According to the notes, the film underwent a restoration taken from the original 35mm camera negative and was scanned in 2K resolution with the 35mm interpositive for footage lost from the negative. As such, this does indeed look fantastic, detail is sharp throughout, black levels appear stark and there wasn’t noticeable instances of aliasing, artifacts or other glaring flaws. The disc comes with a PCM Mono track which I found to be rather good and at the very least serviceable presenting good dialogue from the center channel and despite be a solo track, there was some good depth once the horror elements kick in, most notably towards the end. 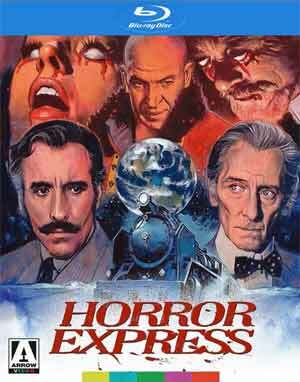 Overall, Horror Express for me was a fine film though my interest was mostly for its two leads in Christopher Lee and Peter Cushing, sharing the screen again after many roles as Dracula and Van Helsing respectively. This is another great release from Arrow Video providing a good selection of bonus material and solid audio/video transfers.